The SC-3000 Survivors team present the SEGA SR-1000 cassette tape data recorder. Compact design, fine and very elegant with futuristic lines in the perfect style of the SC-3000 computer. 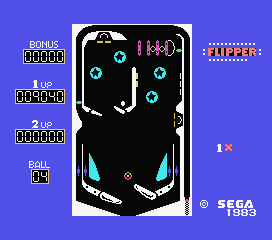 It has the five typical control buttons: Record (Save), Play (Load), Reverse, Fast Forward, Stop/Eject. It was a pretty advanced data recorder unit because it has a particular circuit which auto shut-off the motor when there's no signal coming from the computer. The SEGA SR-1000 is a very good product, which is compatible also with other 8bit systems such Sinclair ZX Spectrum, Texas TI-99/4A, MSX and many others that have data in/out analog signals. 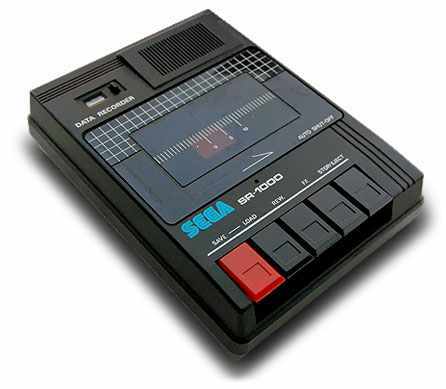 The architecture of the SEGA SR-1000 is very simple. It is a common audio amplifier that plays and records normal analog audio signal on cassette tapes. The connection of the SR-1000 to the SC-3000. This is the connection scheme for a SEGA SC-3000 Cassette interface and SEGA SR-1000 jack plugs. The input of SC-3000 must be connected to output SR-1000 and vice-versa input of SR-1000 must be connected to SC-3000 output Plug type should be a mono jack plug 3,5mm. 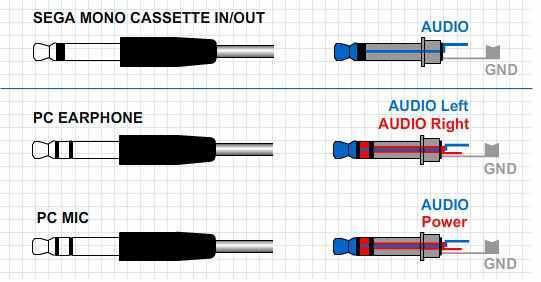 The following is the pinout scheme for audio mono/stereo jack plugs. These plugs have different signals for PC mic plug and PC Earphone plug. You can use almost any other Tape recorder which have these plugs. And this Unit can be used with many other systems. If you want to plug PC Audio out or Mic jack to your SEGA SC-3000 you need a different type of cable to obtain best results. The PC jacks have a stereo interface which is a little different from the mono jack. You can plug PC to SC-3000 Cassette interface with a Stereo to mono cable for loading tape dumps, or save directly from SC-3000 to PC. Remember to turn off all 3D audio effects that may damage the quality of the signal. This is a typical stereo to mono cable to use for best results. in PC stereo jack both tip and ring signal must be connected together. In mic PC stereo jack only the tip signal must be connected to the mono audio signal. These are the views of the SR-1000 cassette tape data recorder. Straight lines, compact, dark shades and buttons flush to the case. Measurements of the unit are mainly: (W)13.2cm × (D)17.0cm × (H)45cm. SR-1000 comes in a simple box. Inside you can find the SR-1000, foam packages, user Manual, and the AC Adaptor. Here there are several photo galleries of SEGA materials related to the SR-1000.